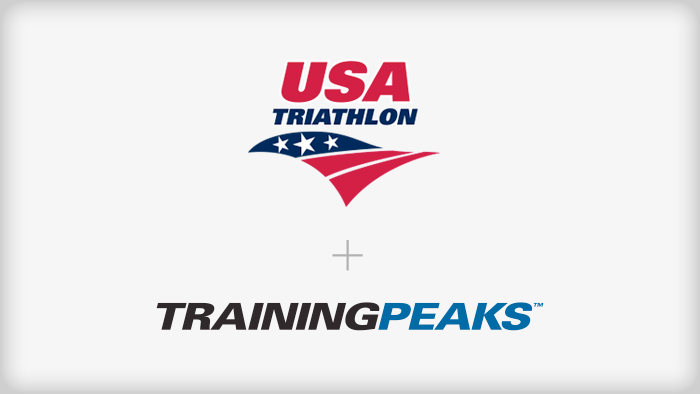 TrainingPeaks and USA Triathlon (USAT) have renewed their seven-year-long partnership through 2020, providing valuable resources for members, high-performance athletes and coaches as the organization’s official training software. The agreement ensures that the National Governing Body and its 500,000 members and coaches will receive the most comprehensive training, analysis and planning capabilities to further the future of the sport heading into the 2020 Tokyo Olympics and Paralympics. For the past 12 years, TrainingPeaks products have provided USAT’s High Performance Teams with valuable training insight. The software has become a vital resource for their athlete identification and development as they’ve strived to increase the number and quality of developmental programs serving junior-age and developmental elite athletes across the nation. In keeping step with this important work, TrainingPeaks will now create starter training plans for participants of USA Triathlon’s Age Group, Collegiate, Youth, Junior and Duathlon National Championships and Team USA members who compete in ITU Age Group World Championships. USAT annual members and certified clubs are eligible for a 20 percent discount on TrainingPeaks Premium Athlete Edition subscriptions, while TrainingPeaks Accredited Coaches receive a 20 percent discount on TrainingPeaks Coach Edition Unlimited monthly subscription fees. All USA Triathlon members can utilize complimentary TrainingPeaks Basic Athlete Edition accounts to track workouts and analyze training data. Additionally, TrainingPeaks will provide Premium Athlete Edition subscriptions to overall winners at USA Triathlon-owned National Championships and Athletes of the Year award winners, in addition to complimentary Coach Edition software packages to the top Overall Club Challenge award winners in each division. Sign up free or view your USAT member benefits page to receive a 20% discount on TrainingPeaks Premium.